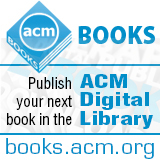 Welcome to the October 17, 2014 edition of ACM TechNews, providing timely information for IT professionals three times a week. U.S. women working in science, technology engineering, and math (STEM) fields are 45 percent more likely than males to leave the industry over the next year, according to a recent Center for Talent Innovation survey. Although 80 percent of the women surveyed say they love their work, many still report barriers to advancing their careers. "Women entering STEM fields have a much shorter runway for career takeoff than women entering other industries," the report says. Surveyed women describe the "lab-coat culture" of science that encourages long hours, the "hard-hat culture" of engineering, and the frat-like "geek workplace culture" of technology, all of which discourage women from advancing or even joining in the first place. The study also found 86 percent of women in the United States lack sponsors, which significantly holds them back from progressing to more senior level positions. In addition, 72 percent of women surveyed reported sensing gender bias at work in their evaluations. A recent Fortune study of performance reviews from 28 companies in the technology industry found almost 88 percent of women received critical feedback compared to just 59 percent of men. Finally, the Center for Talent Evaluation report also found women in high-ranking positions are less likely to help other women advance their careers. In an interview, Swiss Federal Institute of Technology professor Auke Ijspeert, discusses the state of the biorobotics field. He describes biorobotics as a branch of robotics that looks to biology for inspiration, primarily in terms of various animals' means of locomotion. Ijspeert says the field has experienced amazing growth in recent years as advancements in technology such as three-dimensional printing and more sophisticated embedded computer systems have made it ever easier to build complex, capable robots. At the same time, he notes the biological sciences also have delved even deeper into the study of animals, for example using x-ray film to study the movement of bones. Ijspeert says biorobotics has numerous applications in fields as varied as agriculture, search and rescue, exploration, and environmental monitoring. This is because while robots that draw their inspiration from human locomotion have an advantage in moving among humans, robots inspired by biorobotics have the edge in navigating unstructured environments full of rocks, mud, gravel, sand, and water, he says. However, Ijspeert notes there are major challenges, as the seeming effortlessness of animal movement conceals deeply complex control systems that can be difficult to emulate and replicate. CSO Online (10/15/14) John P. Mello Jr.
Massachusetts Institute of Technology (MIT) researchers are developing HTTP with Accountability (HTTPA), a new Internet protocol that aims to preserve privacy by making information less private. The new protocol enables the owner of the data to attach conditions for its use, as well as allowing the usage of the data to be audited so its owner can determine if its conditions are being followed. The data would be assigned a Uniform Resource Identifier (URI) that could be used by the creator to attach conditions to it, such as who should or should not be looking at the information, how it may be used, or when it should be destroyed. The URIs also are used to keep track of the data, as the records would be stored on secure servers across the Internet, and the only person who would have access to those servers is the one who owns the data, the researchers say. There could be hundreds of resources on a website, but "HTTPA would just be applied to resources that need protection," says MIT's Oshani Seneviratne. HTTPA is unique because it can also be used to facilitate data sharing. "HTTPA is a way of allowing us to begin to tap the benefits of sharing data across different sources while still allowing some personal preferences for privacy," says George Washington University researcher Allan Friedman. There is a growing trend of greater egalitarianism among scientific journal articles, with clear suggestions that online article-sharing platforms are part of the driving force behind this change, according to a new study by the team behind Google Scholar. As part of Google Scholar's 10th anniversary the team looked back at the articles on the service to see if the publications from which the most popular articles are drawn had changed over time. They examined articles published between 1995 and 2013 in 261 subject areas within nine broad scientific fields, with the top 10 journals in any area defined as elite. Elite journals included the likes of Science and Nature, and the team found in 1995 only 27 percent of citations pointed to articles from non-elite journals, but by 2013 that number was 47 percent. This egalitarian trend was most pronounced in computer science, which saw citations from non-elite journals increase by 133 percent, and physics and math, which saw the proportion of non-elite journal articles cited nearly triple. Israeli library scientist Hadas Shema says that the growth of non-elite article citations in these fields is in part due to the creation of the open-access research repositories such as ArXiv as well as the growth of open-access journals. An interim report from a National Research Council (NRC) committee says the U.S. National Science Foundation (NSF) is not placing sufficient emphasis on advanced computing. The report says NSF has positioned itself as a provider of high-powered computing to researchers, but it is failing to keep up with the demand to support computing- and data-intensive research across the science and engineering spectrum. "Data-intensive computing is emerging as a 'fourth paradigm' for scientific discovery, complementing theory, experiment, and simulation," the study says, which also notes growth is further driven by big data and analytics. "For many scientific disciplines, the issue is not whether to use data or simulation, but how the two will be used together." The report says the U.S. Energy and Defense departments are considering investing in future highest-tier systems. NSF can focus on new system architectures, algorithms, and software to keep improvement in computer performance from stagnating, according to the NRC committee. Cost is an issue for such computing, and cloud computing or data repositories that are publicly available but privately held are potential solutions, according to the report. Women continue to be underrepresented in the tech sector, on boards and in executive positions, as well as among the rank and file. However, that is changing as many tech companies and their leaders begin to recognize the benefits of diversity. In fact, highlighting these benefits is one of the best ways to help encourage greater female participation. Numerous studies have shown that companies with female CEOs outperform the market, often substantially. A Factset Research Systems report found the biggest U.S. companies with a female CEO averaged 103.4 percent return during that CEO's tenure, compared to the S&P 500 average of only 69.5 percent. Another tactic for increasing the number of women in tech is more aggressive recruiting of women, including programs to make it more appealing for women to join tech companies, such as mentoring programs, according to Cognizant Technology Solutions' Colleen Doherty. She says it also a good idea to give current female employees a larger role in recruiting and retention, as this helps potential female employees feel more comfortable and also counteracts conscious and unconscious biases that male employees in these roles may have. Finally, companies should invest in their female employees with professional development efforts, says eBay CIO Scott Seese. Researchers at the University of Illinois Urbana-Champaign's National Center for Supercomputing Applications (NCSA) are developing Brown Dog, a Web-based tool designed to make accessing unstructured data significantly easier. The researchers say Brown Dog is an effort to bring together all of the best existing automated tools for accessing data. The two primary components are the Data Access Proxy (DAP) and the Data Tilling Service (DTS). The DAP is embedded into a user's machine settings and operates like an Internet gateway. When the machine requests data over HTTP, the DAP will determine if the machine can read the native file and, if not, convert it into the best possible readable format, all in the background. Meanwhile, the DTS can be used to search large data collections using existing files as a template; for example, entering an image file of three people in an effort to find other images containing three people. Brown Dog currently is being designed to help plumb the depths of unstructured data throughout the Deep Web, but researchers say it also could have more mundane applications, such as helping users sort through massive, uncoordinated databases of personal images and other media. Researchers at the Swiss Federal Institute of Technology in Lausanne (EPFL) say strontium titanate, a transparent insulating material that normally does not conduct electrical charge, behaves as a perfect spintronic conductor because it is not affected by background electron charge. Using a method called SARPES, the researchers demonstrated the electron gas at the surface of the transparent insulating material is spin-polarized, meaning it could be used to control the spin of electrons. "This is interesting because it is the first evidence of a large spin-polarization effect on a truly insulating substrate," says EPFL researcher Hugo Dil. He says the discovery could lead to the development of spin-polarized materials that are not susceptible to interference from a non-spin-polarized electrical charge, allowing for finer and better control of electron spin. The material also could be applied to quantum computing because it can be used to directly observe the Majorana fermion, a unique particle that is its own antiparticle. In the future, Majorana fermions could become the foundation for a new kind of quantum computer that would, in theory, be exceptionally stable because it would not be susceptible to external interference and noise. University of Twente (UT) researchers are working on the SHERPA project, which involves cooperation between human rescue workers, a ground robot with a robotic arm, and flying robots. The SHERPA researchers are planning to meet to compare their results and to experiment with the various parts of the robot platform. The SHERPA robots provide rescue workers with support during their missions following disasters. In some cases, the robots can assume some aspects of the work of their human team members by locating victims, greatly increasing the chances of saving lives. The robotic arm is capable of grasping the flying robot while it is airborne and placing it on the charger for the ground robot, and the robotic arm is unique because its rigidity can be adjusted to a specific task. Moreover, the arm is more resilient to shocks and vibrations than the current generation of robotic arms. The SHERPA project includes an array of sensors and portable technology to be worn by human rescue workers, enabling them to respond to situations without actually having to be present at the site of the disaster. The sensors measure the robot's dynamic movements, such as position, speed, and resistance. The robot's cognitive algorithms enable both the machine and a person to cooperatively look for victims and determine their actions to save human lives. anticlockwise to represent '1,' allowing us to encode binary data," they say. "The vortices are then flowed through the wires using and interacted with carefully defined features in the wires that recreate the function of logic gates." The researchers believe a computer built around this technology could be much more power-efficient than conventional systems. "We have demonstrated an entirely new way of both storing and processing information," Hayward says. "We're now looking forward to moving towards experimental prototypes, and exploring whether we can make real devices that are much more power-efficient than those in current computers." The next step in the project is to produce prototypes of the logic gates, and to examine whether they can be made smaller and capable of faster operation. Chalmers University of Technology researchers have developed an osseointegrated, or bone-anchored, implant system that gives patients new opportunities in their daily lives. The artificial limb is directly attached to the skeleton, providing mechanical stability, and then the subject's nerves and muscles also are interfaced with the machine's control system via neuromuscular electrodes, creating an intimate union between the body and the machine. "Reliable communication between the prosthesis and the body has been the missing link for the clinical implementation of neural control and sensory feedback, and this is now in place," says Chalmers researcher Max Ortiz Catalan. "So far we have shown that the patient has a long-term stable ability to perceive touch in different locations in the missing hand. Intuitive sensory feedback and control are crucial for interacting with the environment, for example to reliably hold an object despite disturbances or uncertainty." To date, the researchers have only tested the system on one man with an amputated arm, but they plan to treat more patients with the new technology later this year. This technology "is the missing link for allowing sophisticated neural interfaces to control sophisticated prostheses," Catalan says. San Diego State University (SDSU) researchers are developing a new social media-based platform to allow San Diego County's Office of Emergency Management Services to spread disaster messages and distress calls quickly and to targeted geographic locations. "We want to use technology to make emergency warnings go viral," says SDSU professor Ming-Hsiang Tsou. SDSU is working with the San Diego County Board of Supervisors to develop software and tools to improve the county's ability to use social media for disaster communication and response. "This social media technology developed by Professor Tsou adds another innovative tool to our ability to react during an emergency and even get out ahead of something before it becomes a problem," says San Diego County Supervisor Ron Roberts. The project is based on the idea that hugely influential social media users are a key component of viral messages. For example, if Twitters users with a lot of followers retweet some emerging Internet meme, the meme is much more likely to go viral. The SDSU researchers plan to implement this concept into emergency warning systems by reaching out to the top 1,000 Twitter users in San Diego County and asking them to agree to retweet the county's emergency messages. "If we have 1,000 highly influential volunteers retweeting these messages, almost everybody in San Diego will get the message," Tsou says. In addition, county officials will use the platform to monitor social media for rumors and false information originating from other channels.